A European Union directive that critics said would see hundreds of vitamin pills taken off sale in the UK should be blocked, says the House of Lords. Peers defeated the government by 132 to 79 as they urged ministers to revoke the new directive, which harmonises European rules on vitamin sales. The defeat came despite a government minister warning that failing to implement the measure would be a "serious breach" of the UK's treaty obligations. 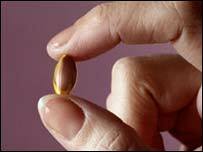 The vote will not stop the UK implementing the Food Supplements Directive, which is due to come into force in 2005. The Tories claimed the plans, which include putting limits on recommended daily dosage, were a syndrome of "a nanny state". Health food manufacturers say the proposals will make them foot significant bills - but the European Commission says their predictions are wrong. The rising demand for health food products in recent years is shown by the industry's total annual turnover, which is estimated to be £860m. The Food Standards Agency last month warned that people who take large doses of vitamins risk permanently damaging their health. The European Commission proposed the new directive, which was approved by the European Parliament last year, partly to combat problems with trade barriers. It is due to be implemented by the end of July this year and would establish lists of vitamins and minerals which could be used in food supplements. 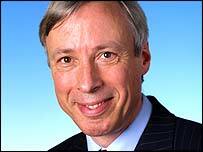 Ahead of Monday's debate, Conservative's shadow health minister Earl Howe criticised the concessions the government made in the directive deal. "The result of this is that some hundreds of popular products will no longer be available on the shelves of Holland & Barrett and elsewhere," said Lord Howe. "For six years they have pretended that this would not happen - now they admit that it will, and that the EU rules that we are being forced to adopt will run completely counter to this country's approach on such matters, which has always been to licence products for sale provided they are safe. "In other words, the right of consumers to exercise choice in buying health foods is to be curtailed drastically, all in the cause of European harmonisation." His motion urged simpler rules to be used in regulations and for them to be based on "sound science". But Health Minister Lord Warner said: "Simply engaging in Brussels bashing on this directive is not going to help British consumers and industry. "The directive has been agreed and we are obliged to implement it." Holland and Barrett are among retailers saying the changes will mean the UK and other "liberal markets" losing out. It says manufacturers face significant costs if the directive goes through as they will have to reformulate many of their supplements. A European Commission spokeswoman told BBC News Online the campaign against the directive in the UK was very distorted. "The reality is that none of the food supplements will be banned," she said. "All the figures put forward by the food stores are just wrong." Under the directive, pills would be assessed on safety grounds, which was in consumers' interest, the spokeswoman said. No supplement manufacturers would be put out of business by the changes, she added. A spokeswoman from the Food Standards Agency said the government would take care to ensure the maximum limits allowed in pills were based on scientific risk assessments. "While the directive does not deliver all that we wanted, we do feel it is the best thing that could be achieved," she said. The directive did allow EU states to continue, in some cases up until 2010, with forms of vitamins and minerals which were not on the new list, she added. "It's unlikely the campaigners will win the day"